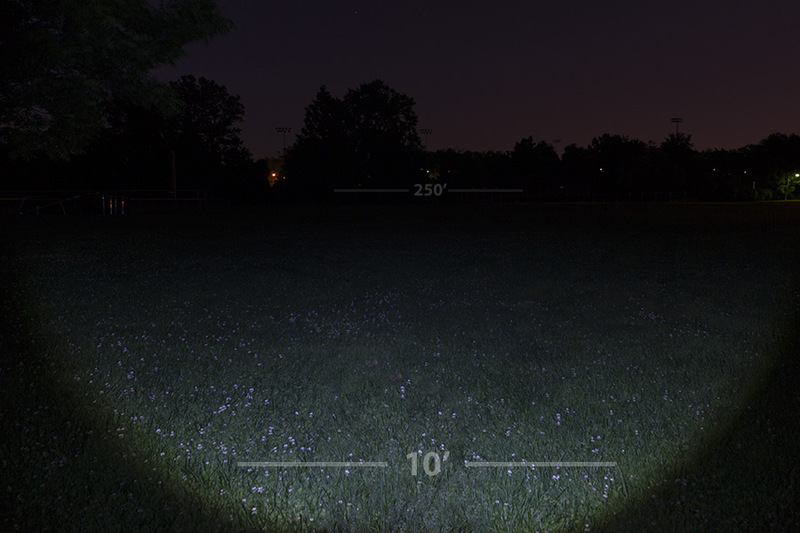 6272 Micro REDLINE OC Optimized Clarity Flashlight: On Showing Beam Pattern. 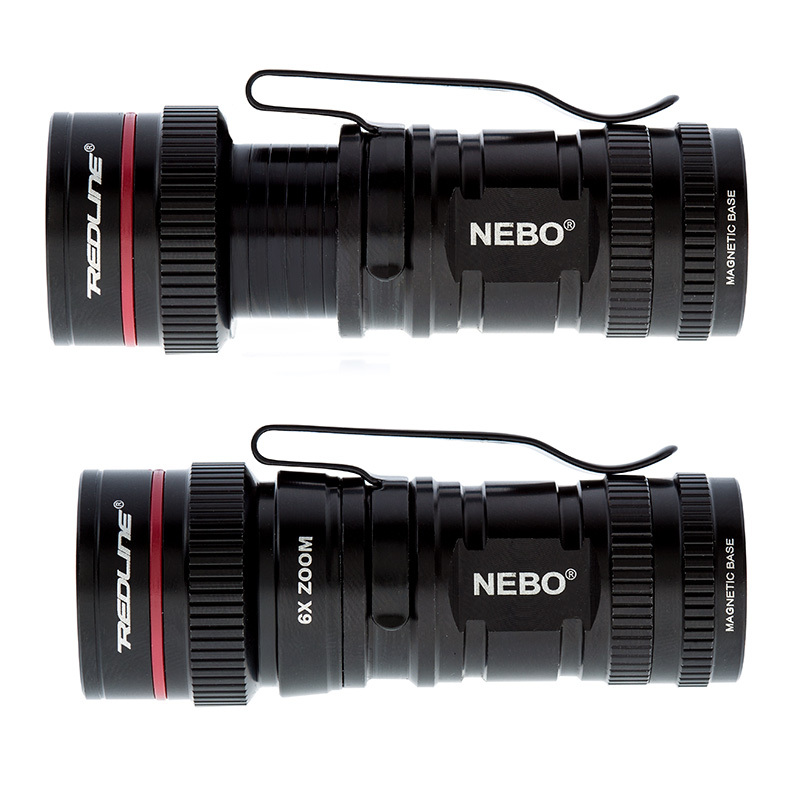 LED Flashlight - NEBO Micro REDLINE OC Optimized Clarity Flashlight: Shown In Wide Angle Beam. 6272 Micro REDLINE OC Optimized Clarity Flashlight: Profile View. 6272 Micro REDLINE OC Optimized Clarity Flashlight: Back View. 6272 Micro REDLINE OC Optimized Clarity Flashlight: Front View. 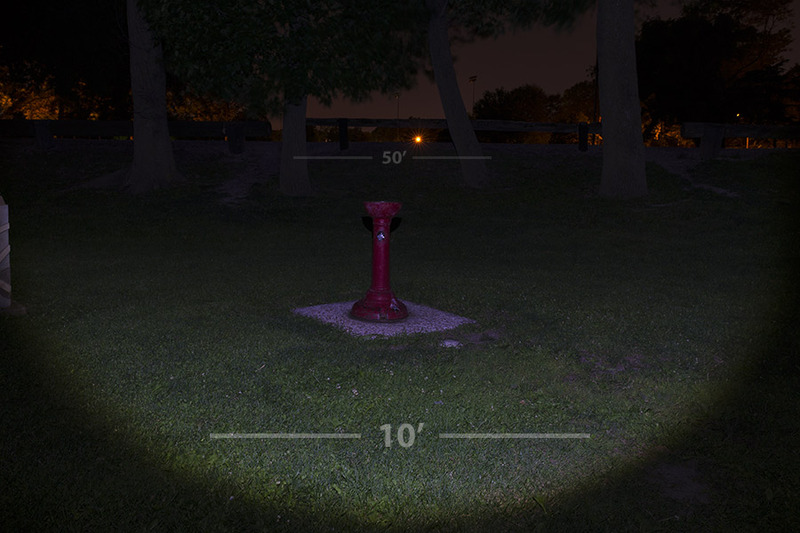 6272 Micro REDLINE OC Optimized Clarity Flashlight: 360° View. 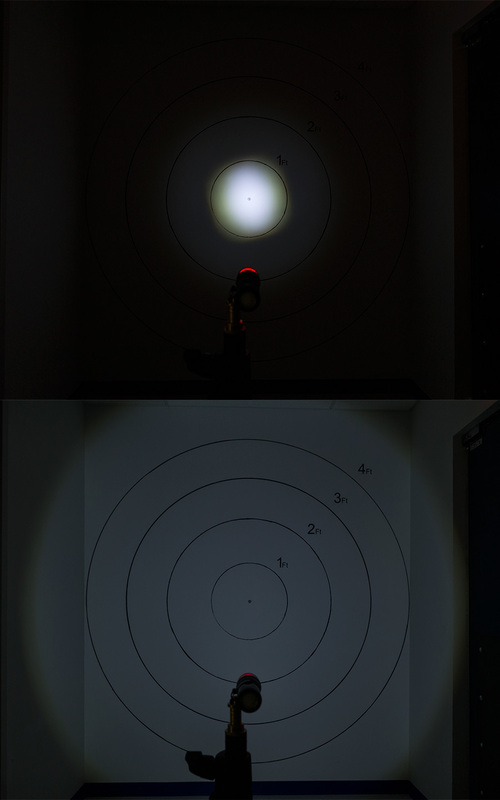 6272 Micro REDLINE OC Optimized Clarity Flashlight: Shown Illuminating Target From 10' With Narrowest Beam (Top) And Widest Beam (Bottom). 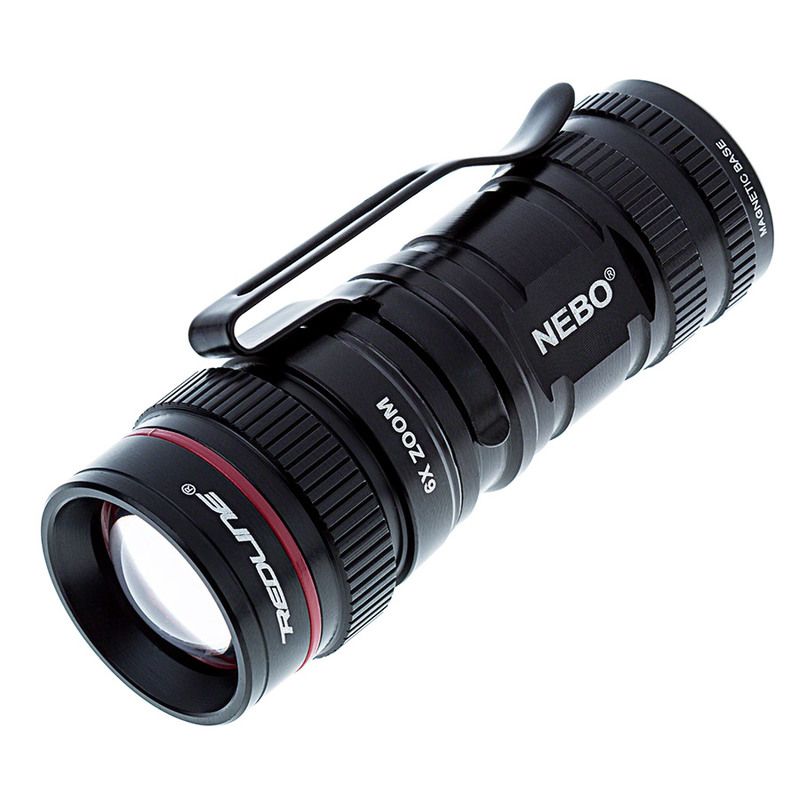 LED Flashlight - NEBO Micro REDLINE OC Optimized Clarity Flashlight: Showing Wide Angle Beam Pattern In Field. 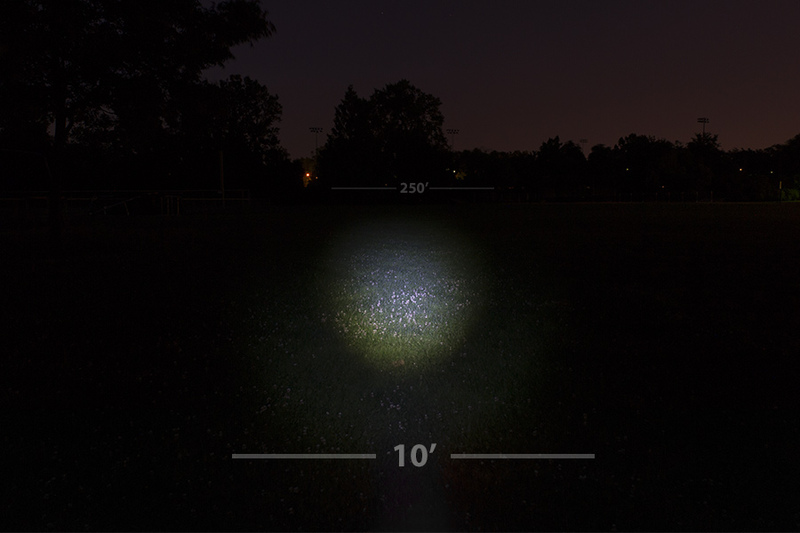 LED Flashlight - NEBO Micro REDLINE OC Optimized Clarity Flashlight: Showing Narrow Beam In Field. Don’t let the micro size fool you ... the Micro REDLINE® OC™ packs enough power to carry the REDLINE® name. 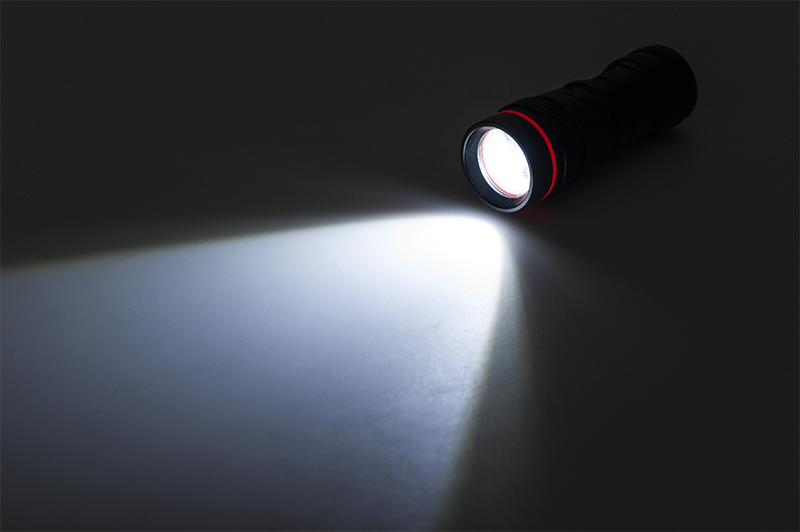 This light is small enough to fit in the palm of your hand, but bright enough for any situation. 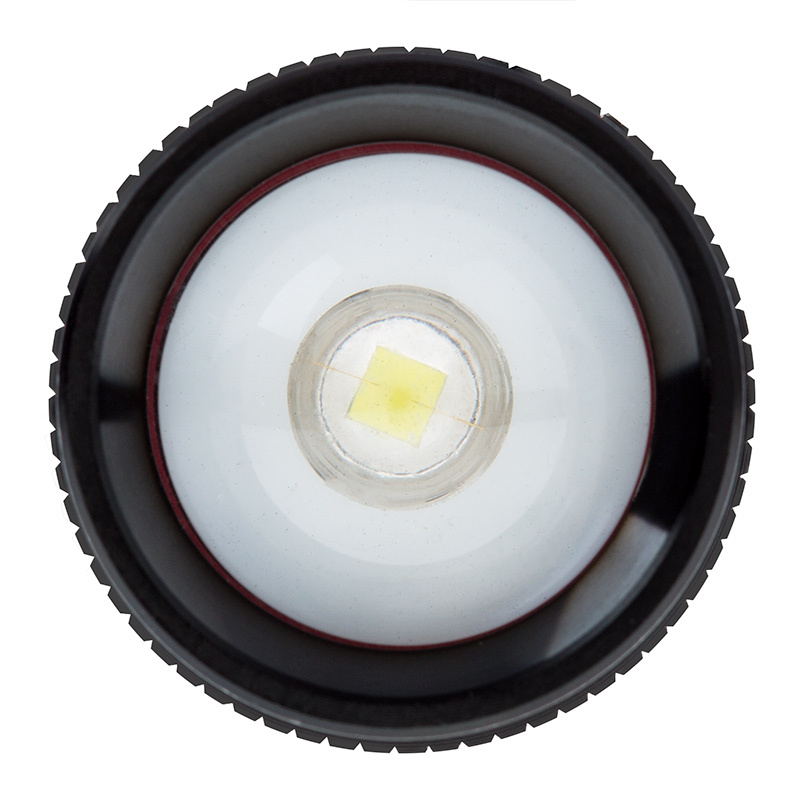 High-power 360 LUX LED. 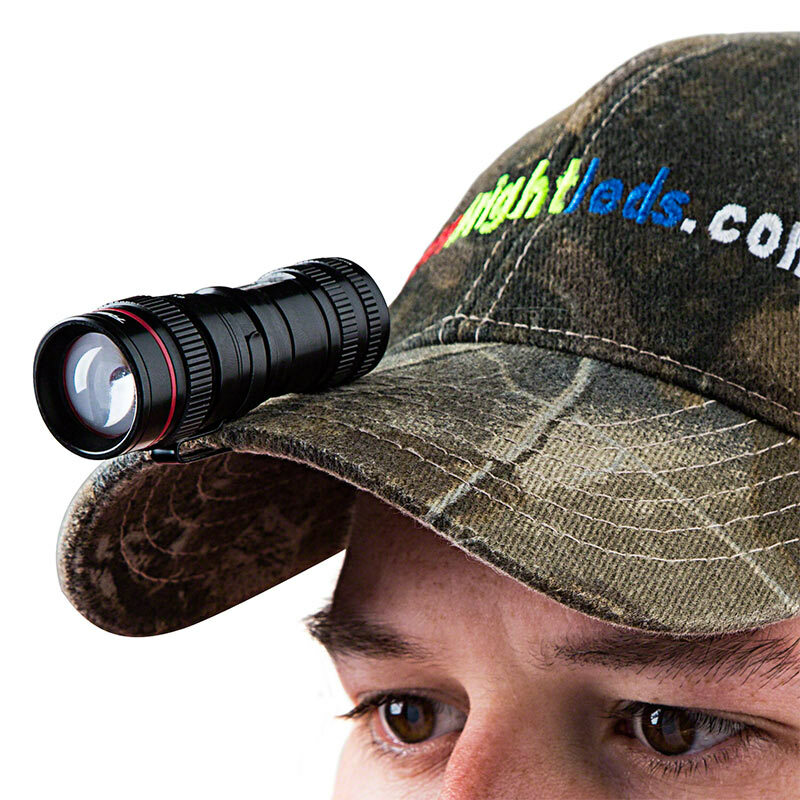 Includes signature red ring and four light modes; Low, Medium, High and Strobe. The rear positioned soft touch On/Off button glows in the dark for ease of use in low light situations. Magnetic base and anodized aircraft-grade impact-resistant aluminum housing. Steel clip for hanging on belt or pocket. Powered by 1 CR123 battery (included). Equipped with OC™ Technology, the Micro has a perfectly dispersed beam of light while in flood mode. Adjustable focus 6x zoom. The Micro REDLINE® OC™ ... small never shined so big! This little flashlight throws a perfectly round, perfectly even circle of light... no dark shadows or bright spots like my old maglites do. At the widest angle, on high... it literally lights up my whole backyard. If you set it out on a counter or nightstand you can find it when the power goes out because the power button glows in the dark. 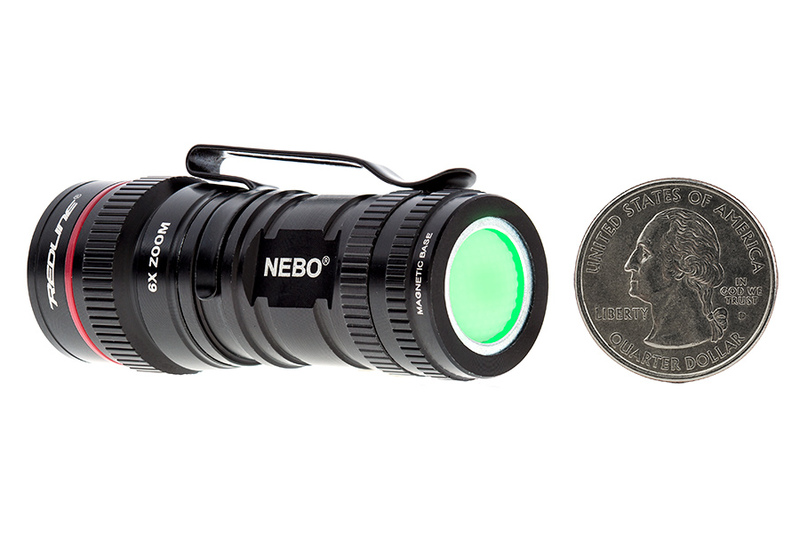 Fits in the palm of your hand and outperforms a huge 3 D-cell flashlight; very nice. The only "negative" for me is that you have to click the power button 4 times to get it back on "high" every time you turn it on. I would prefer just "high" and "off" but that's pretty minor. This is the best pocket flashllight I have ever owned. I gave it to myself as a Thanksgiving present, and will probably give another one to myself as a CHRISTmas gift. At my age (66), light is essential to my vision. Great light output for the small size. Only ask is a hole to attach a ring for a cribbage. Snap on clip is good. Would recommend to anyone who wants small size and big adjustable output.